At 24/7 Emergency Locksmith, we offer a variety of lock services to help out people like you, who find themselves in frustrating situations. While nobody wants to call a locksmith, we can help you with any and all of your lock problems quickly and efficiently. Many people may try figuring out their lock issues on their own, but this often leads to broken windows, injuries, and more problems than it’s worth. That is why you should call our locksmith experts when you have a problem with your lock. We can be there in no time to help you with whatever issues you are facing. 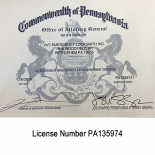 We offer our services to those in Allentown, Bethlehem, Easton, Lehigh Valley, and surrounding areas. If you are in need of a locksmith call us at (610) 451-8797. We work hard to provide our customers with the best possible service and ensure they get their problems solved quickly. Whether you need a lock repair, a broken key extraction, or a simple door unlock, we are the team to call! When we perform our lock services, we want to provide you with the very best. Our team works hard to do quality work every time and our company’s success relies on the satisfaction of our customers. That is why we offer a 12 month warranty on top of any manufacturers warranties offered. We will always provide the best possible work, but if later down the road, something goes wrong due to a quality issue on our part, we will fix the problem and make sure you are satisfied with our work. Get Your Locks Fixed Now! As locksmiths, we offer a huge variety of lock services. Whether you need something done to your car locks, home locks, and business locks, we can help! You can rely on us to be where you need us in no time to solve any issue you have with your lock, whether you need a new lock installed or you want to add a master key system to your business, we can get the job done right! While many of us are used to unlocking our cars from a distance with a remote key, there may come a time when you need to physically unlock your car. This would be a bad time to figure out that your lock is faulty. Luckily, we will be there to help when you run into this problem. Just call 24/7 Emergency Locksmith. If you notice your locks are sticking or not functioning properly, get them fixed right away! This may help you avoid further issues in the future. If your electric locks ever stop functioning, we will be there to help. We can fix them in no time and have you back on the road. If your key ever break off inside of your lock (it happens) be sure to call us at (610) 451-8797. We can remove the broken fragment without damaging your locks and replace your key right then and there. Some of our other automotive lock services include key replacement and programming, car door unlocking, ignition repair, motorcycle key fabrication, and more. If you have a lock and key problem, we can help. The lock on your home is what helps you feel safe and keeps your home secure. But when those locks fail, you can lose all sense of security. Luckily, 24/7 Emergency Locksmith can help out in your time of need. Be sure to contact us if you ever run into an issue with your home’s locks. 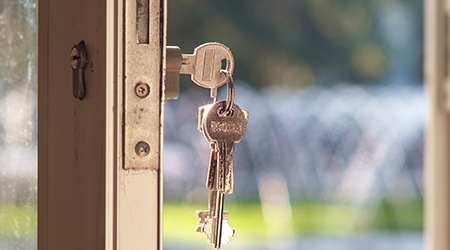 Having new locks installed on your home is a great idea if you have recently purchased a home, have lost your home keys, or you simply want to update your security. Having your home master keyed is a great way to monitor who has access to different parts of the home. You can give your kids access to the front door with a certain key, while you have a key that has access to the the front, back, garage, and shed doors. It is easy to lock yourself out of your home. When this happens do not try breaking a window, kicking in the door, or scaling your home. Instead, contact our locksmith experts! 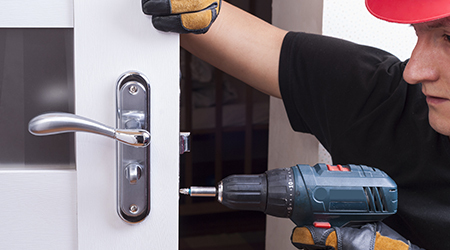 Along with these residential lock services, we also offer broken key extraction, lock rekeying, lock repair, and more. Feel free to call us whenever you need a residential locksmith service! When your commercial space or business runs into lock problems or you simply want to improve your company’s security, be sure to turn to the locksmith experts at 24/7 Emergency Locksmith! We offer a variety of commercial lock services. When you business’s locks begin to fail, you want them fixed as soon as possible! 24/7 Emergency Locksmith can help with that. 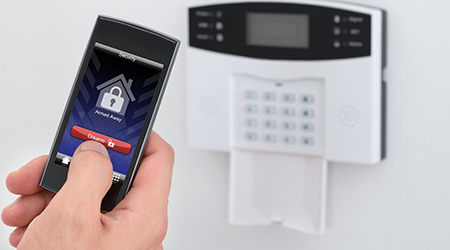 Adding access control to your business can help add security to your business. This system can give access to your employees but not to others by using a code, ID cards, or other type of system. When you add master keying to your commercial space, you can control which employees are allowed where. Give your managers keys to the building but not your office.